﻿ Introduction To The Scientific Development Of Quality Inspection Of Light Steel Frame Machine - RISHBIN WUXI CO., LTD. The main raw material produced by the steel frame machine is the steel strip, and through a series of process to produce various kinds of profiles. 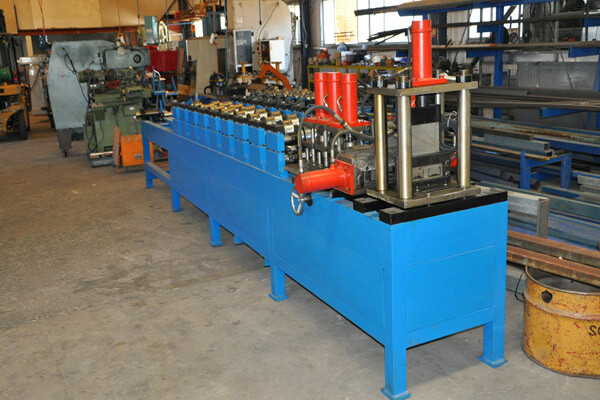 Production including light steel frame paint frame, and other profiles. In the production, the scale is standard and accurate, and can also produce other products according to the requirements and demands of the customers, meet market demand. The production mode makes the steel frame machine gaining recognition in the market, progress a lot of sales market. With the improving of the level of productivity and science and technology, consumers for the quality of the light steel frame machine also puts forward the new standard, so quality inspection is important in the process of producing light steel frame machine. The quality is the lifeblood of light steel frame machine manufacturers, the foundation of enterprise development in the long run. The manufacturer must have good quality control, in the light steel frame machine production process, take quality inspection in each working procedure. In short, only in accordance with the standard of institutionalized for production and inspection, the quality is the guarantee of light steel frame machine, and the enterprise can get long-term development.